The new bill builds upon H. Con. Res. 57, a landmark piece of legislation passed on John Coltrane’s birthday in 1987, which recognized “jazz as a rare and valuable national treasure.” Of that bill Conyers said, “it was an incredibly important moment in the history of this most American of art forms. However, like so many important efforts, its potential has not yet been fully realized.” That’s why Conyers’ new bill builds on the goals of preservation, education and promulgation by translating these goals into concrete action. The first element, preservation, creates in the Smithsonian Institution a Jazz Preservation Program that will secure artifacts from jazz history and work with groups across the country to maintain collections that tell the story of jazz from its inception to its present, and which will provide learning opportunities for jazz enthusiasts nationwide. “The understanding component is achieved through two different means. It establishes an education program, Jazz Artists in the Schools, which will ensure that children have access to an enriched curriculum that builds jazz performances into the students’ education. And it also reconstitutes international cultural exchanges built around Jazz music, called Ambassadors of Jazz, which the U.S. State Department first initiated in the 1950s. “Finally, H.R. 4280 adds a promulgation prong that responds to grassroots input. It supports this goal of promulgation by creating a National Jazz Appreciation Program at the Smithsonian Institution, in coordination with the National Endowment for the Arts and the National Endowment for the Humanities, which will develop a nationwide series of concerts that showcases the diversity and vitality of jazz. 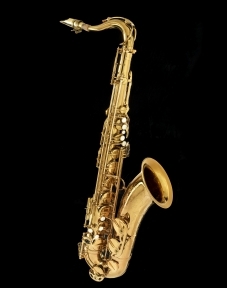 The introduction of the bill was timed to mark the beginning of Jazz Appreciation Month and to coincide with last week’s donation of John Coltrane’s 1965 Mark VI tenor saxophone to the Smithsonian Institution by John and Alice Coltrane’s son, musician Ravi Coltrane. As this year marks the 50th anniversary of Coltrane’s masterpiece A Love Supreme, it’s a great time to reflect on the giant steps that jazz has made around the world. We encourage you to contact your representative and encourage them to cosponsor the bill. Additionally, you can join us in celebrating Jazz Appreciation Month throughout the month of April, and International Jazz Day on April 30. Organizers around the globe have put together countless concerts and the Jazz Journalists Association have assembled a great collection of resources at www.JazzApril.com to help spread the word.